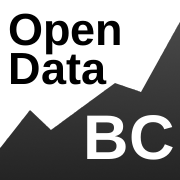 I’m pleased to announce that I’ll be speaking to the Canadian Open Data Summit. The summit, which will take place at the Simon Fraser University Segal Graduate School of Business on February 21, is a forum for discussing how to use, connect to and access open data. My talk will focus on the political and cultural barriers to that process in Canada, the Unknowable Country. Other speakers will include Vancouver Sun data journalist Chad Skelton, Open Data Institute technical director Jeni Tennison and Treasury Board of Canada Secretariat open government director Sylvain Latour. This entry was posted in Announcements, Appearances on January 25, 2014 by Sean Holman.